Hi everyone! This is the day of the week that I look forward to the most – Scoop day! I’ve been busy around my little abode fluffing, cleaning up and getting ready for spring! We have warm temps in the forecast for the next ten days. Woot! I sure am hoping that we don’t get dealt a late March cold snap. Did you know there are only three more crafting weekends before Easter? I have a lot of new readers since last year, so you may not have seen this cute craft. There’s a video tutorial (filmed in my old kitchen) to go with it, in case you’d like to hear the voice behind Worthing Court. Let me know if you decide to give it try! A new sofa came to live at StoneGable last week and I did a post on 6 MUST KNOW THINGS FOR BUYING A SOFA. Boy, did it hit a nerve. I got so many responses and some very very good tips from readers! You might want to stop by read these tips and join in too! 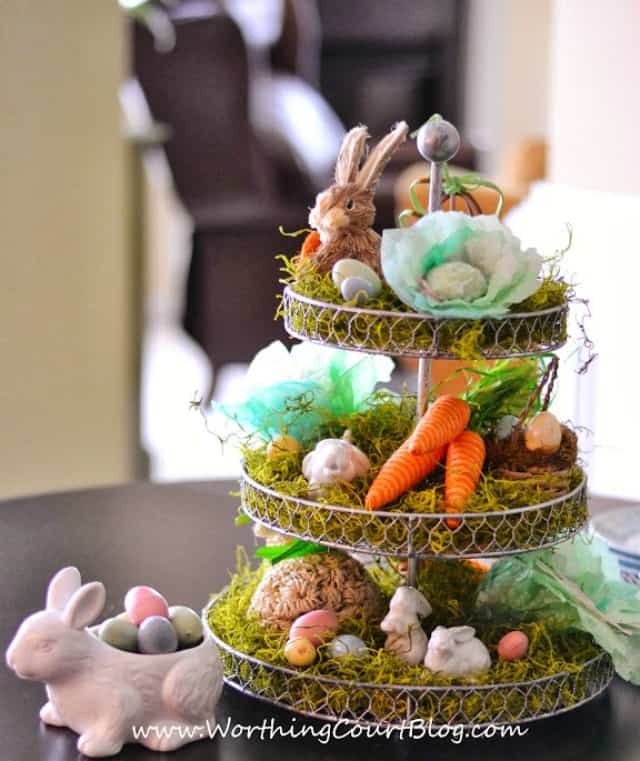 And here’s a VERY EASY Spring/Easter project for you. 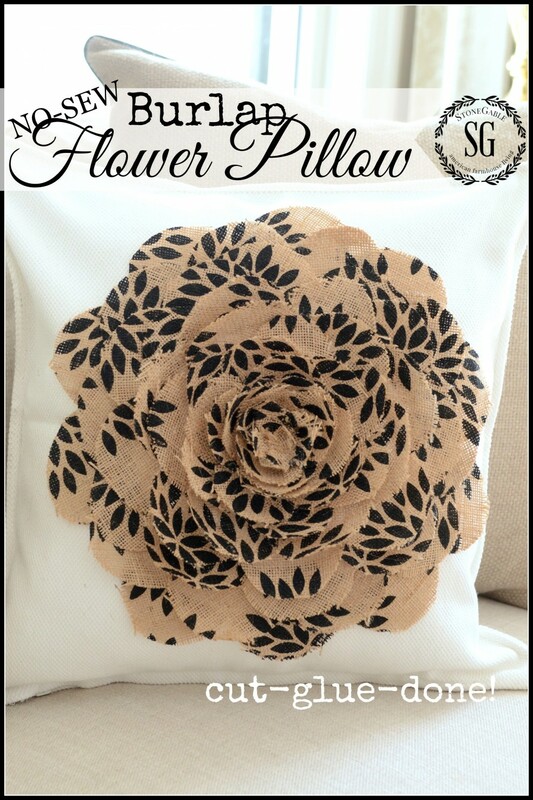 NO-SEW BURLAP FLOWER PILOW will add lots of fluff and drama and beauty to your room! And it’s very fun to make. Be looking for a coordinating pillow to go with it next week! 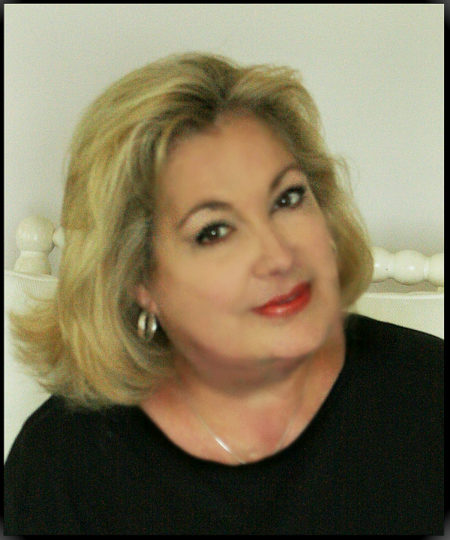 Now, this is my favorite part of hosting… showing you a few fabulous post from last week! 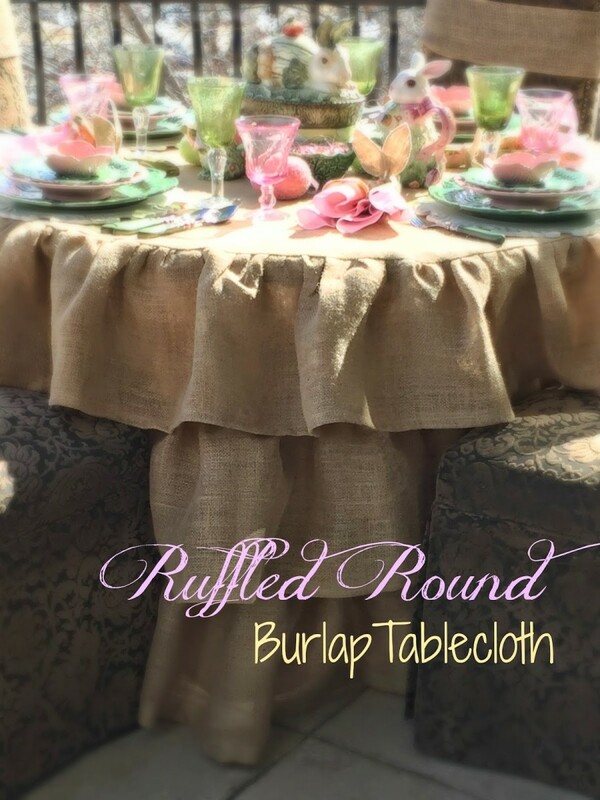 Look at this amazing BURLAP RUFFLED TABLECLOTH from Jacqueline at Purple Chocolate Home! She has an amazing step-by-step tutorial too! This is a must try for me! Thanks, Jacqueline! Spring is literally just around the corner and here is a great way to decorate your front door! 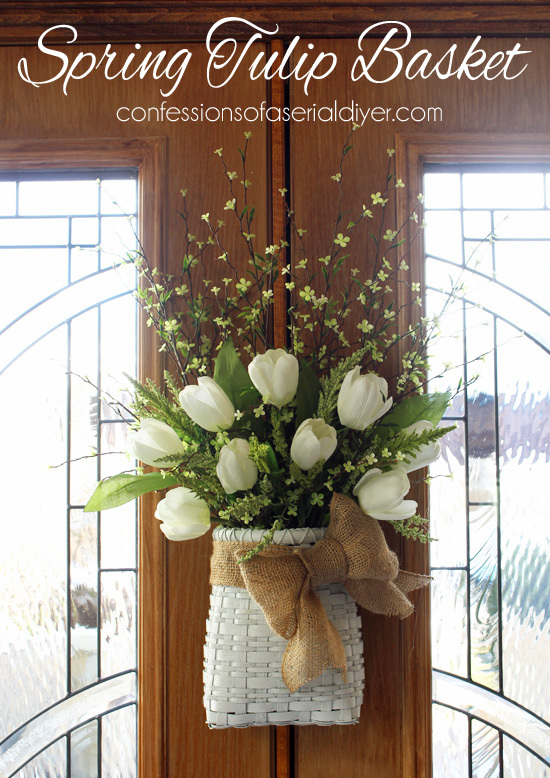 This SPRING TULIP BASKET from Christie at Confessions Of A Serial Do-It-Yourselfer will give a sweet spring welcome to all visitors! Hungry? Me… always! 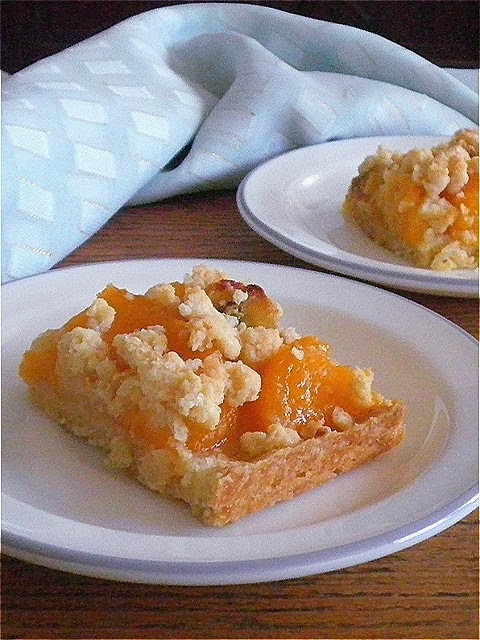 Especially after I saw this easy to make PEACH SLAB PIE from Nora at Treat And Trick. LOVE easy and yummy together in one great recipe! 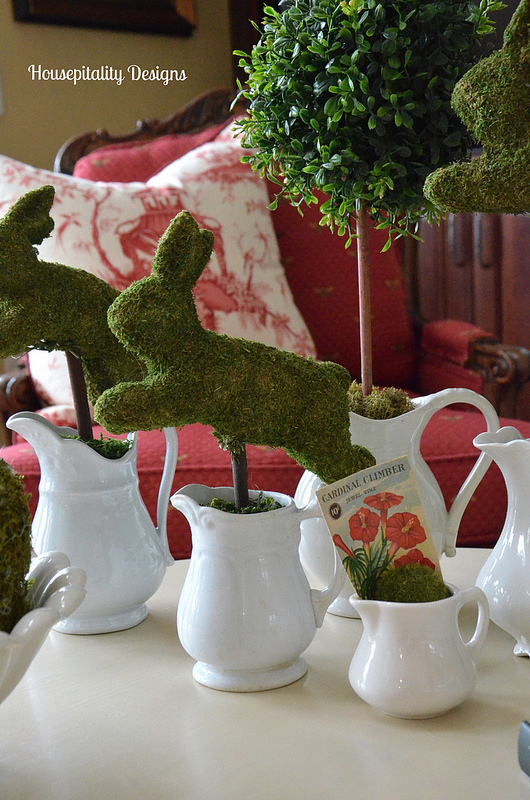 What a great decor look for Spring and Easter from Shirley at Housepitality Designs! WE’RE NOT IN MR MCGREGOR’S GARDEN ANYMORE is a trifecta of bunnies, moss and ironstone! It’s a winner! It’s a KITCHEN MAKEOVER! We all love them! 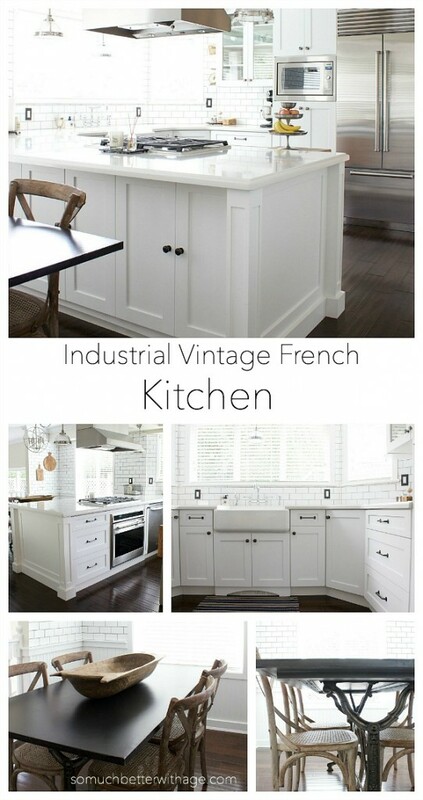 Jamie at So Much Better With Age shared her gorgeous industrial/vintage/French makeover. Drool!!!! Such beautiful treasures and I love your centerpiece.